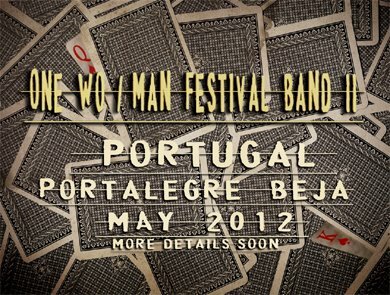 Rita Braga will be one of the participating artists at this year’s ONE WO/MAN FESTIVAL BAND which takes place in Portalegre and Beja (Portugal) on the 18th and 19th of May. Also confirmed are ZOE BOEKBINDER (US) and TERRY LEE HALE (US). This entry was posted on February 13, 2012 by Rita Braga. It was filed under festivals, tour dates .